Raising beef is a complex process, but throughout the entire journey, one thing remains constant – the shared commitment to raising cattle in a safe, humane and environmentally sustainable way by using the latest technology and resources. Currently, Minnesota is home to over 16,000 beef farmers and ranchers. Meet the people and the process involved in raising beef from the pasture to the plate. Meet the Hanson, VanDerWal and Kerkhoff families below - all Minnesota farmers who work day in and out to feed you! Watch their movie trailer, and then click "Learn More" to view the full length video plus have a "meet and greet" with the family. Our Raising Beef video series is a collaborative project between the Minnesota State Cattlemen's Association, Minnesota Department of Agriculture and the Minnesota Beef Council to highlight the unique and honest stories of our responsible Minnesota beef farmers. The process of raising beef is among the most complex of any food. Across this journey, one primary thing remains constant – the beef community’s shared commitment to raising cattle in a safe and environmentally sustainable way. 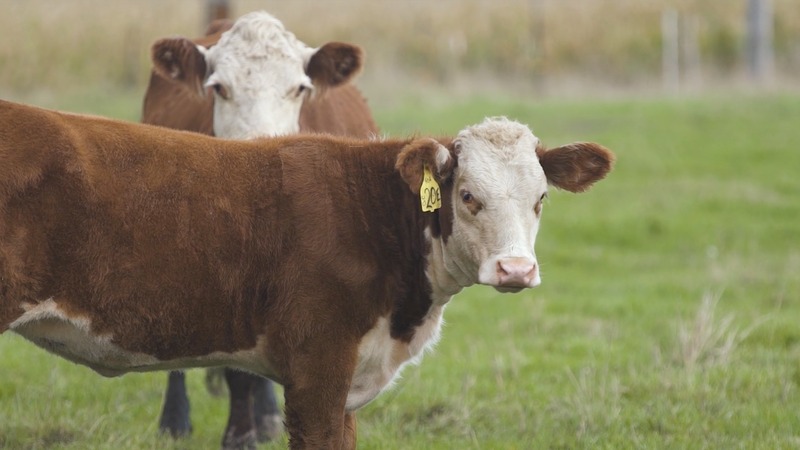 The latest science and nutritional research shows how beef contributes important nutrients to an overall healthy diet and lifestyle as well as how the way in which cattle are raised can impact your choices at the meat case and on the menu. Cattle ranchers have many tools to keep the animals in their care healthy and safe, including nutrition programs, veterinary care and good management practices that are science-based, regulated and, above all, good for the animal and the consumer. These Rancher Recipes originated on the farm – but even urban cowboys will appreciate these down-home, top-notch, feel-good recipes. Crafted by ranchers across America, these recipes are flavorful, nutritious and proven to satisfy the heartiest of appetites.